In addition, the Governors have claimed tournament titles at both UMKC and Middle Tennessee before finishing second in last weekend’s Evansville event. The Governors boast the Ohio Valley Conference’s finest offense through the season’s first three weekends. Austin Peay leads the league in kills per set (14.57) and attack percentage (.253). That offense is powered by four Governors ranked among the league’s top 10 in attack percentage: senior Logan Carger (.347), junior Jenna Panning (.319), senior Kaylee Taff (.317) and freshman Karli Graham (.299). 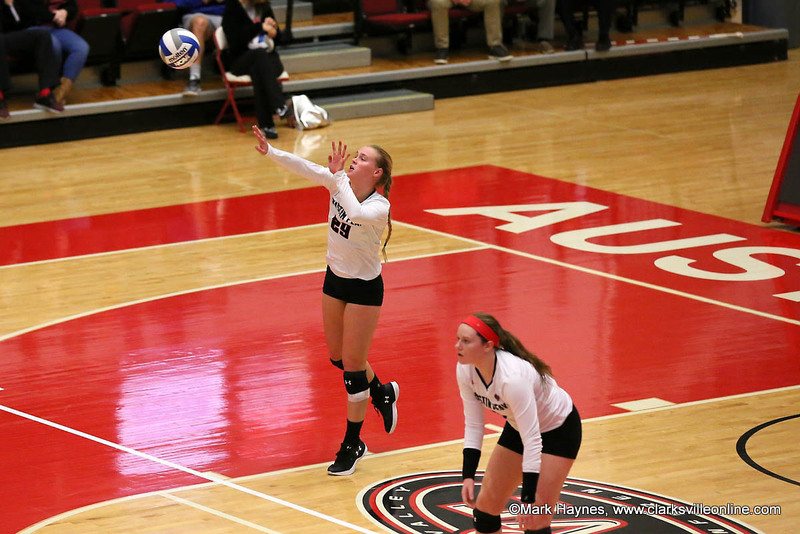 Senior setter Kristen Stucker continues to marshal the Austin Peay offense to its lofty heights. She leads all conference setters with 11.62 assists per set, which also remains ranked among the nation’s top setters. Alabama A&M (3-8) visits Clarksville looking to snap a six-match losing streak that includes three-set losses to OVC members Murray State and UT Martin. However, the Bulldogs are a dangerous foe having claimed a five-set win at Memphis prior to their current losing streak. AAMU features three hitters averaging more than two kills per set, including freshman Alana Cox and her team leading 2.32 kills per set this season. Admission to all Austin Peay volleyball home events is free to the public and APSU students. The first 200 fans to Tuesday’s contest will receive an OVC Championship replica banner courtesy Culver’s.